Fusion Academy instructors are of the highest caliber and dedicated to the technique known as the gentle art. 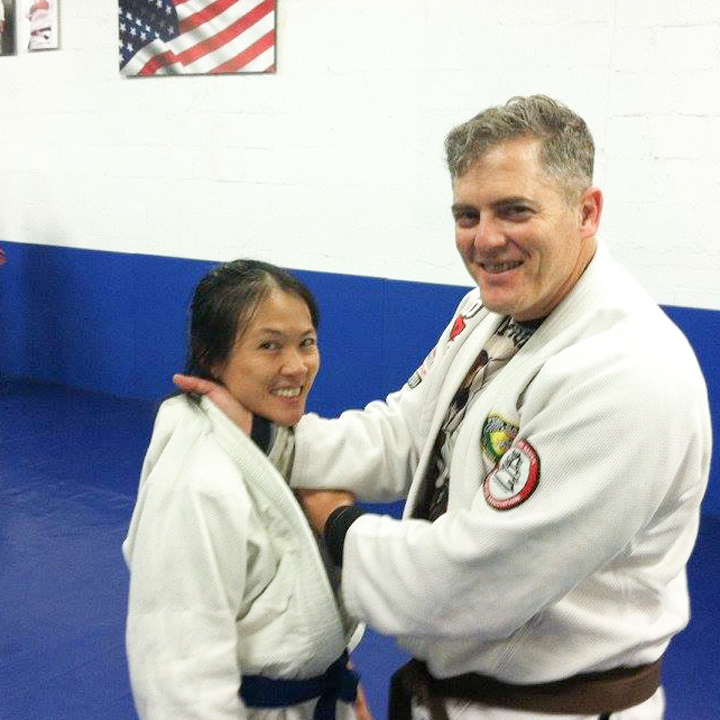 Our instructors are chosen based on their experience, skill level, patience and passion for Jiu-Jitsu. At age 7 I took my first Karate class. I wanted to take Karate because I watched my best friend Roy practice Karate in a dusty, hot tepee on an Indian reservation in Roosevelt, Utah. Training in a tepee appealed to me. I took one class and quit. Seven years later, I took another Karate class in Logan, Utah. This time the karate instructor was a Kyokushinkai black belt named Del Griffith. Sensei Griffith learned karate in Hawaii and was one of Hawaii’s top Kyokushinkai’s black belts. And yet, I still didn’t have the temperament or patience to train consistently. I took one class and quit. But in 1985 I had matured and now truly desired to learn martial arts and I knew I still wanted to learn Karate. This time I contacted Del personally (Dad signed me up before) and he admitted me to study with him again. Learning from Del Griffith was like having a personal coach and mentor in addition to a martial arts instructor. Del was encouraging, patient and a wonderful teacher. Much of my teaching style has stemmed from Sensei Griffith’s example to me. I also trained during this time in two other arts: Chung Shing Kung Fu and Yang Tai Chi. I learned Kung Fu from Sifu David Jones and Tai Chi from Tiger. I don’t remember Tiger’s full name. He was a Ph.D student at Utah State University in physics and when he completed his doctorate he moved back to Taiwan. I haven’t been able to find Tiger or David Jones for many years. Perhaps the future holds a serendipitous meeting. I moved to Salt Lake City in 1990 and studied under a martial arts master named Dan Berry and subsequently received my black belt from him. Dan Berry taught a martial art called Bihonte. Bihonte was a fusion of five different arts. The arts that I focused on were Kali, JKD and Mokuraiken Kenpo. Dan received his JKD training under Michael Moore and Michael Moore received his certification directly under Dan Inosanto. Dan Berry in my opinion was not only a gifted martial artist but a great teacher. I would include Dan in that rare class of martial artist’s whose contribution to the martial arts and the evolution of Bruce Lee’s Jeet Kune Do is without peer. I still study under Dan Berry and Pedro Sauer and believe I receive some of the best instruction in the world. However, that doesn’t preclude me from still wanting to learn other arts and my focus is still to integrate techniques and approaches to my present knowledge to become a better martial artist and instructor. Ultimately, the martial arts should help us to be better people. I am not personally studying in preparation for fighting but continue to practice to better myself and others through my learning. Hence, this brief biography is a dedication to all my instructors. I pay my sincerest respect and honor to Del Griffith, David Jones, Tiger, Dan Berry and Pedro Sauer. Thank you for sharing with me. Like a lot of kids growing up in the 80s and 90s my first exposure to martial arts was through Bruce Lee, karate, and ninja movies. The influence of these movies encouraged me to explore “The Arts.” I remember being enrolled and training in various Karate Dojos and at the local YMCA growing up, however I never was with any one particular gym for a significant amount of time to gain any true expertise. My 7th grade year I joined Gene Lewis Boxing Club in Mesa AZ where I trained for two years. Me and my family moved to Flagstaff Az my freshman year of high school. With no boxing gyms in town to continue my training, I decided to join the wrestling team to feed the competitive itch I had. I gained moderate success in the sport being elected the team captain and placing in 6th in state that year while attending Flag High . After graduating from high school in 1999 and seeing Brazilian Jiu Jitsu doing great things in the UFC and Pride I was desperate to learn. I found a local club at Northern Arizona University which consisted of a small group of white and blue belts beating each other up in a small matted room. I trained at a variety of gyms in Arizona from 2000 to 2005 with two amateur mixed martial arts fights which I won. 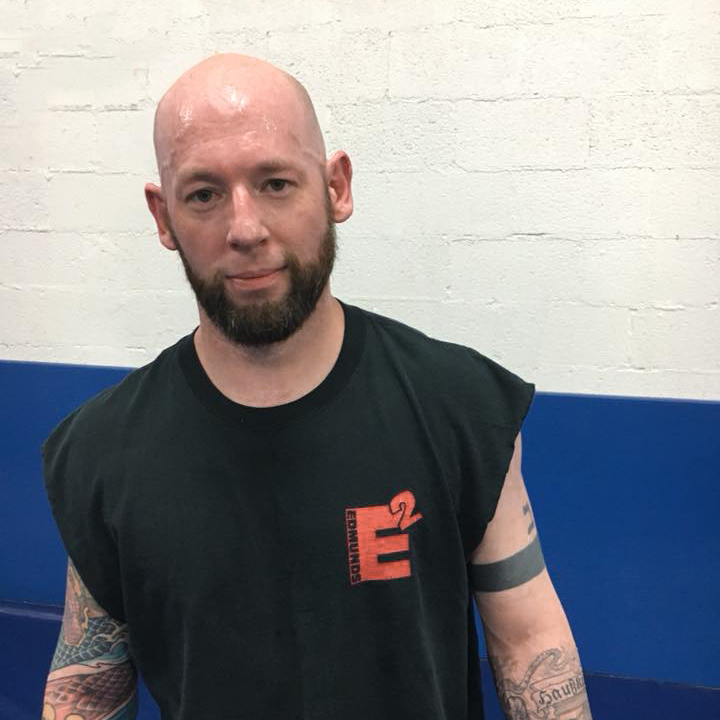 It wasn’t until 2005 that I finally had the opportunity to train under a true master when I moved to Utah and joined legendary mixed martial artist Jeremy Horn’s Elite fighting gym. I trained with him from 2005 until 2010 and left with a pro fighting record of 5-5. In 2011 I decided to retire from competitive MMA and put my focus on Brazilian Jiu Jitsu and joined Professor Eddie Edmunds Fusion Academy. 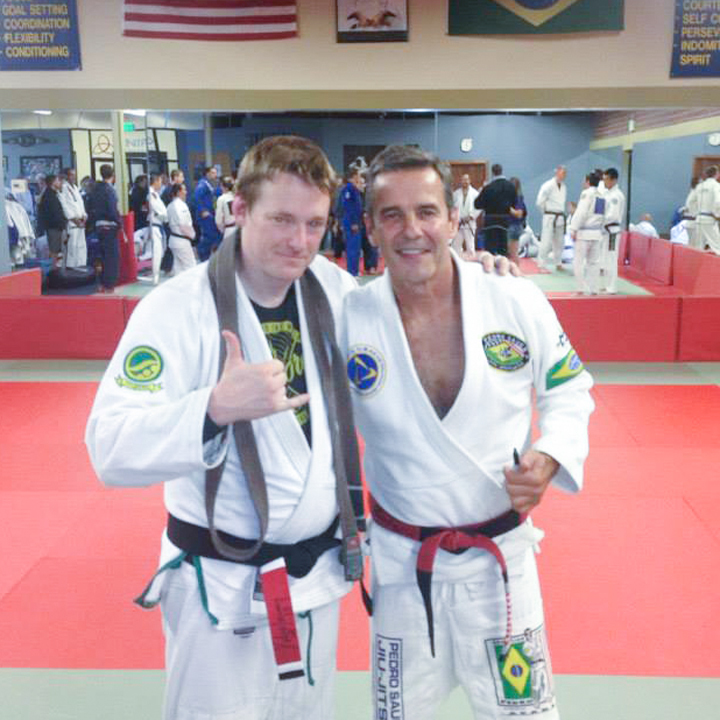 As of 2018 I have the ranking of Brown Belt which was awarded to me personally by the great Professor Pedro Sauer himself. One of my greatest passions in life is to share the knowledge I have accumulated through my years of experience on the mat and in the ring. 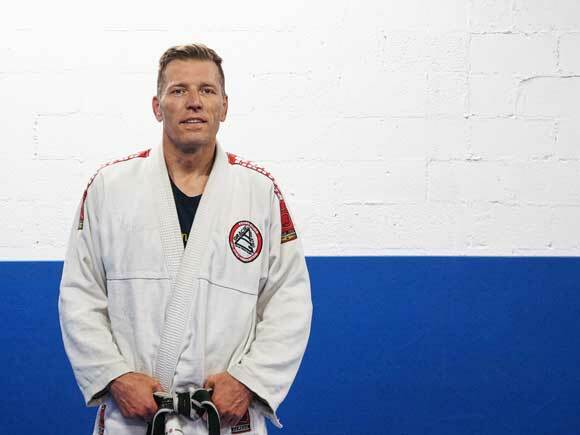 Eventually, he decided to pursue jiu jitsu and started taking classes from Gustavo Rodriguez. He also trained in kickboxing with Aldo Oreggia. 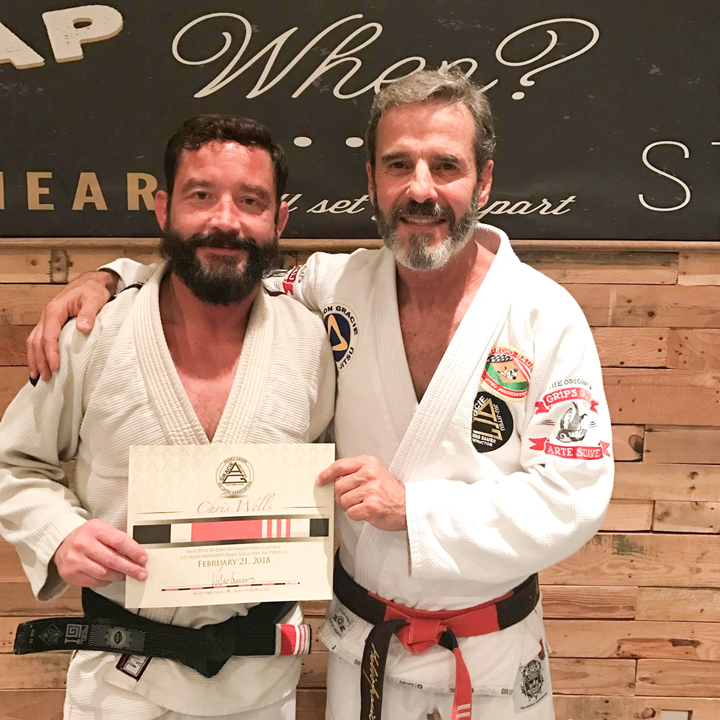 He left as a white belt due to a military move. He trained for a year and a half in Monterey, CA under Daniel Thomas at Body Works Martial Arts. He and his wife were moved again. In Wiesbaden, Germany he met Vinnie Carlucci the founder of Team Choco. 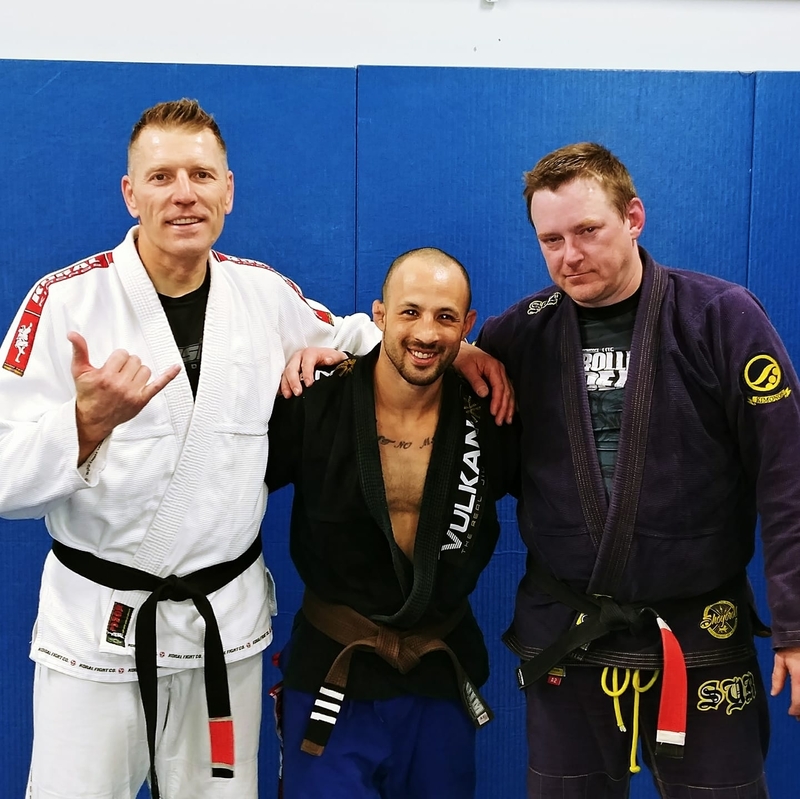 After 2 years, he returned to Utah and began training under Gustavo again where he earned his purple belt. Through Gustavo Clinton was introduced to Paul Sizemore. 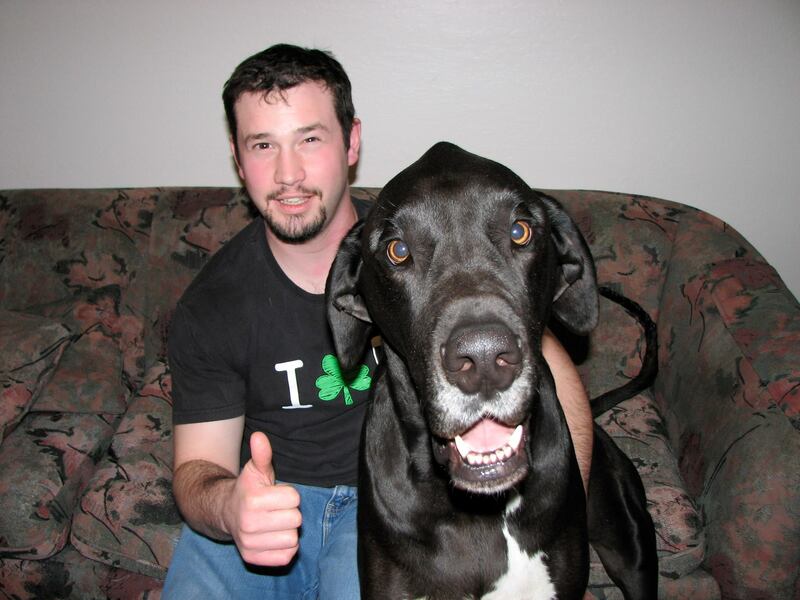 Clinton trained with Paul for three years before his sudden passing. While training with Paul, Clinton met Chris Wells and Eddie Edmunds. It is with Team Fusion that Clinton is continuing his training with his goal to eventually become a black belt. Clinton has competed at all belt ranks, in a varied of tournaments. Including, larger competitions like NAGA in Limburg, Germany; King of the Beach in Eindhoven, Netherlands; IBJJF European Open in Lisbon, Portugal; and IBJJF Master Worlds in Las Vegas, NV. I was like most boys and thought kung-fu was the epitome of martial arts. I always wanted to get a black belt in kung-fu or some other martial art. At some point my brother and I rented some VHS fighting movies, and one of them was UFC 1. I remember watching Royce slowly but surely handling each of the fighters that stood in front of him. This couldn’t help but to change my ideas about martial arts and fighting in general. Eventually I had the means to begin learning a martial art, and settled on finding a Jiu-Jitsu club. So one Saturday in 2004 I strolled into Fusion Academy and met Eddie. He has been my primary Jiu-Jitsu instructor since that day and can’t thank him enough for all he has taught me. I have also learned a great deal from Dan Berry, and of course Pedro Sauer. I received a blue belt in 2006 from Eddie Edmunds and Pedro Sauer. 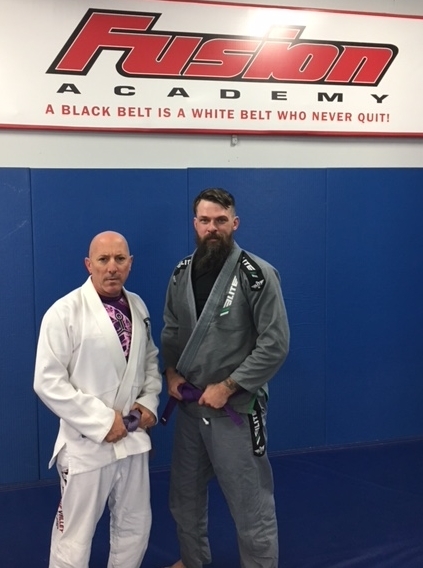 After a few years of training with the late great Pedro Sauer Black Belt Paul Sizemore, I became became hooked on pure submission grappling and Jiu-Jitsu. 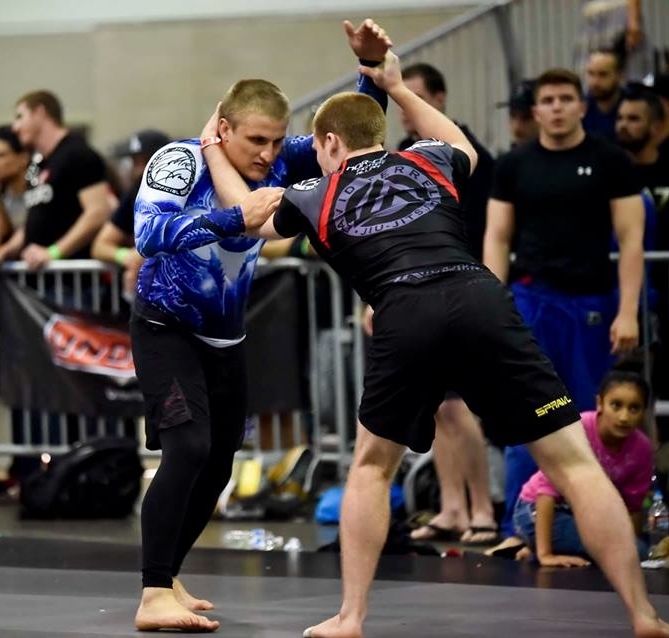 I’ve been training since 2011, with a main focus in the NoGi style (although I appreciate and study in the Gi as well), and am a regular competitor, having competed all across the United States. A 2.5 year move to Arizona gave me the opportunity to join and compete with the 10th Planet Phoenix team under Coach John Botello, an Eddie Bravo Black Belt, where I diversified my game, cemented my love for NoGi and also earned a blue belt in the 10th Planet system. I currently train and teach at Fusion Academy, while also training at 10th Planet Salt Lake City under Eddie Bravo Black Belt Amir Allam.